The World Ag Expo has been held for 52 years. Located at the International Agri-Center, the show featured more than 1,500 exhibitors, with over 100,000 visitors. With a one year away, we are excited to exhibit at next year’s expo and look forward to seeing you there. Jon spending time clarifying and answering questions about our Grape Crates. Here at TranPak, we strive to promote about how plastic pallets are a great sustainable and efficient option for handling shipments. Therefore, it is always exciting to see companies and individuals promote these ideals. Learn more about plastic pallets. The holiday season is upon us. Please observe our business hours during this time. TranPak will be closed December 24-25, and December 31-January 1. 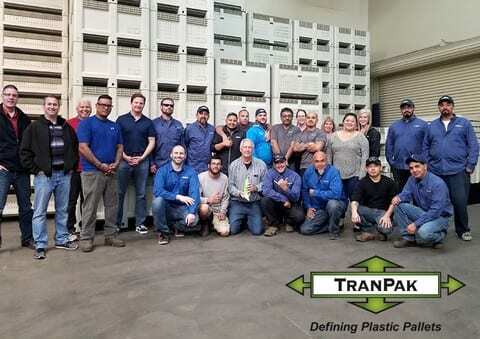 If you need to reach us during these days, please call us at (559) 435-0100 and leave us a message, or email us at sales2@tranpak.com, and we will respond during our normal business hours. 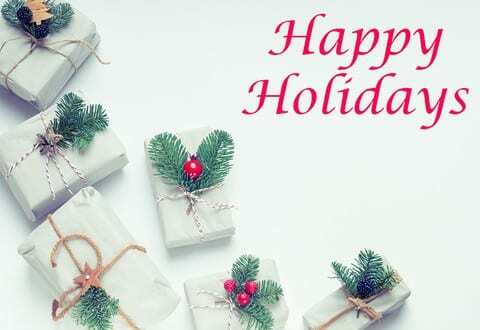 Thank you and Happy Holidays from the TranPak team. 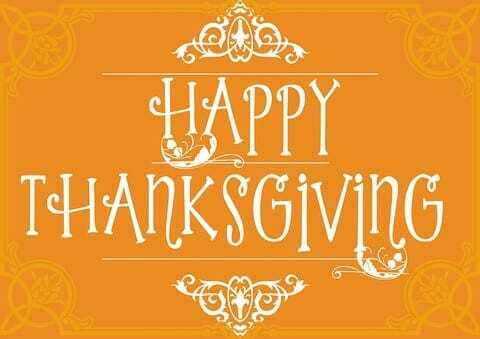 In observance of Thanksgiving, TranPak will be closed on November 22-23, 2018. We will be resuming our normal business hours on Monday November 26th, 2018. 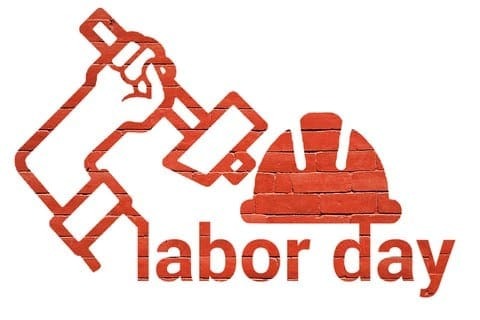 In observance of Labor Day, TranPak will be closed on September 3rd, 2018. We will be resuming our normal business hours on Tuesday September 4th, 2018. Another month, another Clearance Sale! 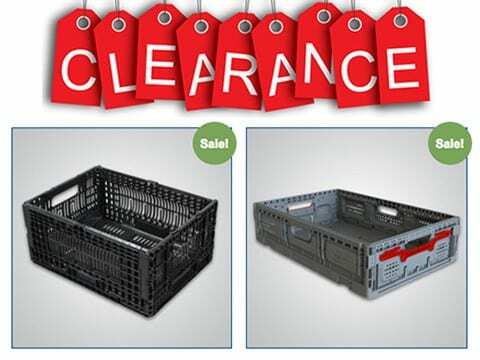 Take advantage of the huge savings on plastic pallets, bulk bins, and handheld containers. Visit our store and place your order online. Hurry, before they sell out. Quantities are limited and all stock ships from Fresno, CA. For any questions or help placing your order, please call us at (800) 827-2474, and one of our friendly representatives will be happy to assist you. 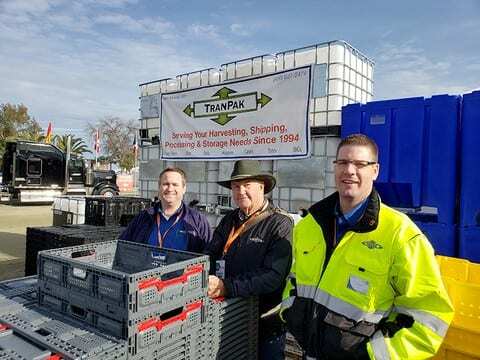 Once again, TranPak was excited to exhibit at the 2019 World Ag Expo in Tulare, California. We were able to showcase our popular products, such as the plastic agricultural bins and handheld containers. Even with high winds and rainfall, it did not detour our representatives and visitors to our booth. Save big on our July Clearance Sale. 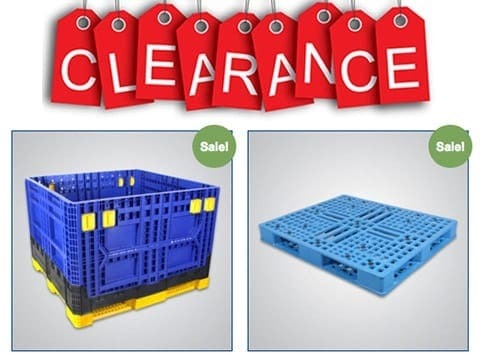 We have plastic pallets, bulk bins, and handheld containers on sale and ready for your order. To take advantage of these savings today, visit our store and place your order online. Quantities are limited and all stock ships from Fresno, CA. 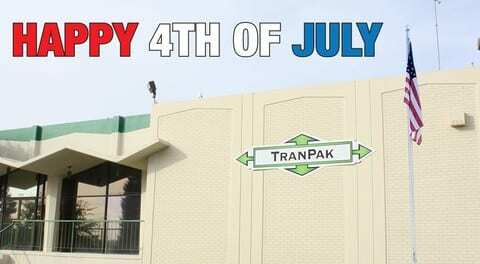 TranPak will be closed on July 4th, 2018 in observance of Independence Day. We will be resuming our normal business hours on July 5th. 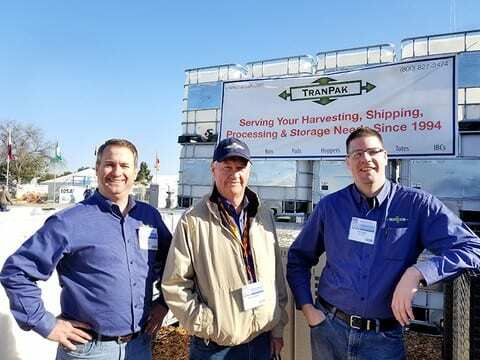 Last week, we exhibited at the World Ag Expo located in Tulare, CA. Our main product highlights were our plastic agricultural bins and handheld containers. This year our outdoor booth also included a much larger tent, with great amenities such as a patio heater, coffee, donuts, and water. As 2017 draws to a close, the TranPak team is extremely excited to see what 2018 will bring. From the entire TranPak team we wish everyone a Happy New Year!